NFZ.forestnet - Retrace the NFZ.forestnet history in videos ! 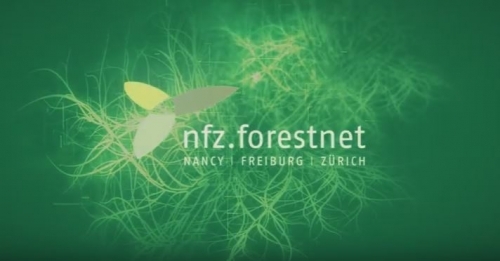 Home Page Zoom sur Retrace the NFZ.forestnet history in videos ! NFZ.forestnet is a European research and higher education network which gathers French, German and Swiss institutions working on forestry, forest ecosystem and forest-related products. It was founded in 2006 with the aim of creating and developing collaborative research and education projects. In this video clip, Prof. Konstantin von Teuffel (FVA, Switzerland), Erwin Dreyer (Inra Nancy, France) and Prof. Andreas Rigling (WSL, Switzerland) evoke some highlights of the past ten years of their collaboration. NFZ.forestnet is a unique forest research and higher education network worldwide. Prof. Marc Hanewinkel (University of Freiburg) briefly explains why. How to summarize a ten-year-old collaboration between seven forest research and higher education institution? Prof. Andreas Rigling (WSL) did it in less than a minute. "Ten years is a long time"... Marc Hanewinkel (University of Freiburg) and his colleagues Arthur Gessler (WSL), Harald Bugmann (ETH Zurich) and Erwin Dreyer (Inra Nancy) talk about their hopes and vision for NFZ.forestnet in 10 years from now. In January 2006, seven forest research and higher education institutions decided to join forces. Four of the "founding fathers", Andreas Rigling (WSL), Harald Bugmann (ETH Zurich), Erwin Dreyer (Inra Nancy) and Konstantin von Teuffel (FVA Freiburg) recall the vision they shared. In NFZ.forestnet, students are not the only ones who learn valuable lessons. Three of the major actors of the network - Konstantin von Teuffel (FVA, Freiburg), Meriem Fournier (AgroParisTech, Nancy) and Harald Bugmann (ETH Zurich) - tell us about their experience. NFZ.forestnet has brought many advantages to scientists and research managers of the partner institutions. Arthur Gessler (WSL), Meriem Fournier (AgroParisTech) and Marc Hanewinkel (University of Freiburg) give a few examples. Since 2006, each annual NFZ summer school has been dedicated to a theme within the forestry and wood science domain. Heinrich Spiecker (University of Freiburg) tells us how else NFZ.forestnet commits itself to higher education.